WinRAR puts you ahead of the crowd when it comes to compression. By consistently creating smaller archives, WinRAR is often faster than the competition. This will save you disc space, transmission costs AND valuable working time as well. WinRAR is ideal for multimedia files. WinRAR automatically recognizes and selects the best compression method. The special compression algorithm compresses multimedia files, executables and object libraries. If Windows User Account Control prevents extracting or archiving commands to create files in system protected folders, WinRAR attempts to start its another copy with administrator privileges to complete the operation. It is necessary to confirm privileges elevation in response to User Account Control prompt to allow such second WinRAR copy to run. You can drag files in Explorer with right mouse button, drop them to some folder and select WinRAR archiving commands in context menu to create an archive with these files in the destination folder. 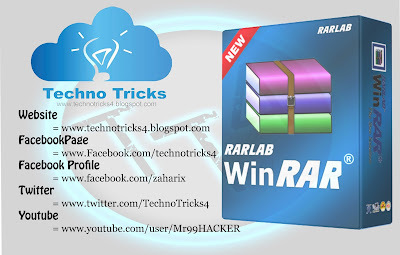 It is possible to use WinRAR.ini file instead of Registry to store WinRAR settings. You may prefer such approach if you plan to install WinRAR to removable media, such as USB flash drive, and then run it on different computers. See "WinRAR.ini file" topic in "Configuration settings" chapter of WinRAR help for details. Added extraction support for ZIP and ZIPX archives using XZ compression algorithm. If ZIP or ZIPX archive contains any compression algorithms except usual "Store" or "Deflate", algorithm names are displayed in "Version to extract" field of archive information dialog. Algorithms with names unknown to WinRAR will be assigned "m" name, where "num" is a compression algorithm numeric identifier. "Open with WinRAR" command is available in Windows context menus for archive formats supported by WinRAR. It can be turned off with "Open with WinRAR (for usual archives)" option in WinRAR "Settings/Integration/Context menu items..." dialog. Command "ch" supports switches -tl, -cu, -cl also for ZIP archives. Previously "ch" allowed these switches only for RAR archive format. For archive formats lacking file time information, such as .bz2, .xz and .Z, WinRAR sets container archive modification time to extracted files. It does not apply to tar.bz2, tar.xz and tar.Z, which use file time stored in tar headers. WinRAR icon in Windows context menus is scaled up correctly in high DPI screen modes such as 150% or 200% of normal text size. It is possible to disable WinRAR "Benchmark" command with "Benchmark" variable of HKEY_CURRENT_USER\Software\WinRAR\Policy Registry key. In multi-user environment "Benchmark" command might abuse shared computational resources. See "Registry variables" topic in "Configuration settings" chapter of WinRAR help for more details. Additionally to "sfxcmd" variable containing the entire command line, SFX module sets "sfxpar" variable containing command line parameters only, without leading SFX module name. These variables are set before starting a program specified in "Setup" command. File overwrite prompt in console RAR displays the size and modification time for existing and new files. When archiving from stdin with -si switch, RAR sets the current system time to modification time of archived file. Previous version did not set this time at all. It is possible to use -si and -v switches together. Previous versions did not allow to create volumes when archiving from stdin. Warning is issued when starting unpacking 4 GB or larger file from RAR or ZIP archive to FAT32 patition, so user may cancel the operation. FAT32 does not support files of such size. Also this warning is issued when starting to create RAR archive with "Store" (-m0) method if estimated archive size is 4 GB or more. "Select all" button in "Settings/Integration" dialog is renamed to "Toggle all". Now it deselects archive formats if all they are already selected. "Delete archive" extraction option correctly removes all .zip and .7z volumes. Previously it removed only the first volume in the set for these archive formats. 2) After Installation, DO NOT Run it!